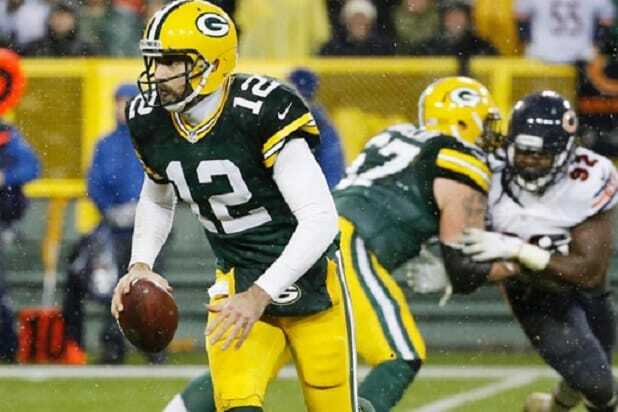 Green Bay Packers quarterback Aaron Rodgers is defending Colin Kaepernick’s choice to kneel during the National Anthem last season. With the beginning of the NLF season just over a week away, Kaepernick is still unsigned after backing out of his contract with San Fransisco earlier this year, despite his merits as a player. Kaepernick previously led the 49ers to the Superbowl, has six playoff games under his belt and last season threw 16 touchdowns to four interceptions. Kaepernick made waves last season when he knelt during the National Anthem to protest social injustice in the U.S., and has inspired protests this season already. Just last week, people gathered outside NFL headquarters in New York in support of Kaepernick, and some are encouraging fans to boycott watching NFL games. And, even though the player remains unsigned, merchandise with Kaepernick’s name is among official NFL merchandise Top 50 list and his protest jersey was donated to the Smithsonian. In this year’s preseason, other players are mimicking Kaepernick’s protest from last year. The Seattle Seahawks’ Michael Bennett knelt during the National Anthem in the Hawks’ pre-season games, and several Cleveland Browns players knelt during the Anthem preceding their game against the New York Giants, including tight end Seth DeValve, who is the first white player to kneel. The Packers’ GM Ted Thompson said earlier this month that players have every right to protest under free speech.